7/8" diameter, all are listed with Height, Pullback, and Width. C. #10 Dirt track Bar, black, 4 1/2", 8", 34"
G. Drag style, 0", 3 1/2", 27 3/4"
H. Superbike style, 2 1/2", 5", 29"
J. Euro style, chrome, 3", 5 3/4", 30"
K. Daytona Touring, 3", 7", 29 1/2"
This composite poly carbon throttle features a choice of 91˚ or 103˚ rotation with a pull of 48mm, less with smaller carbs. Weight is only 4.6 oz. Merc's Favorite! 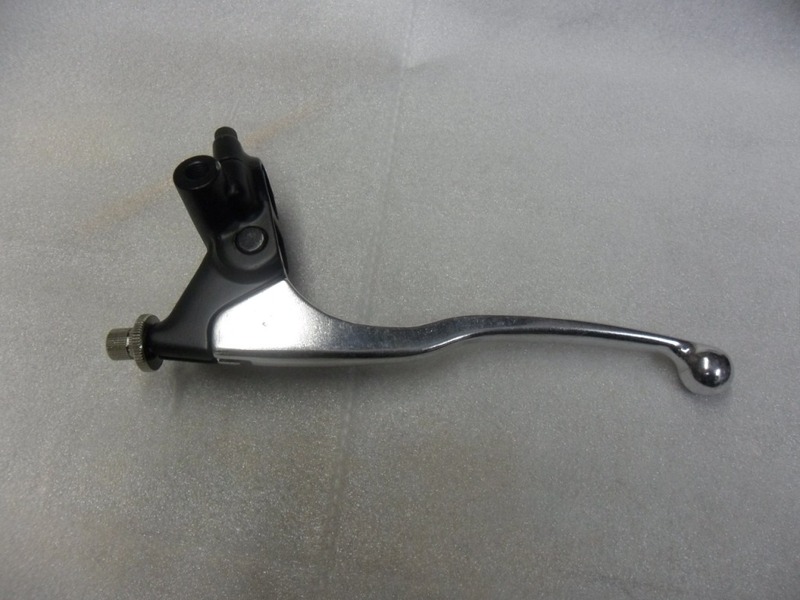 This polished dogleg clutch lever assy. for 1" bars works with stock and E-Z Pull clutch cables. 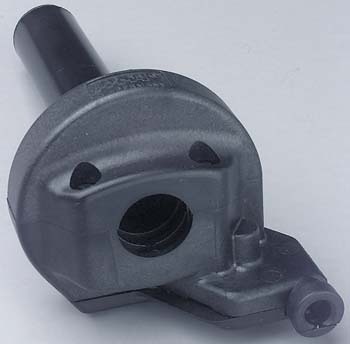 This black 1/2"master cylinder for 1" bars works with stock stock XS levers and is suitable for early and late systems. With brake light switch and 10mm mirror mount. 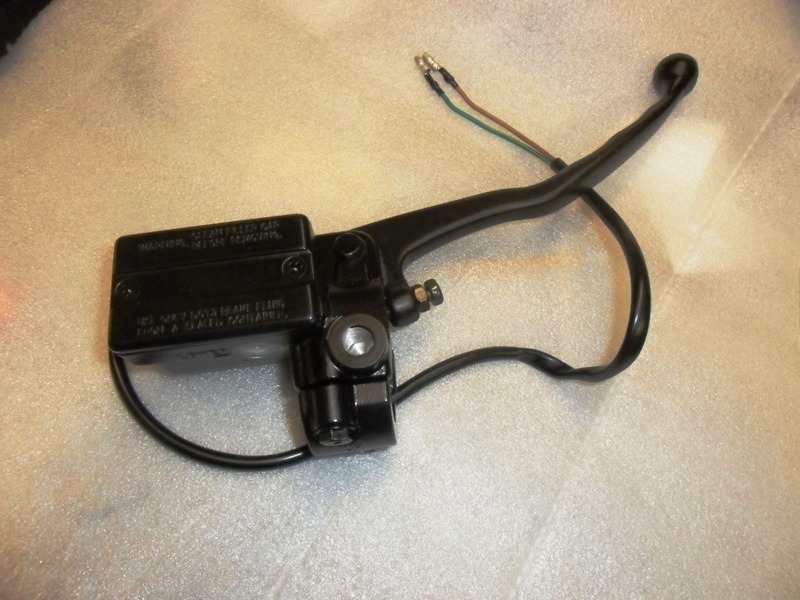 Quick adjust lever assembly comes with lever cover and can be adjusted with one hand while riding. 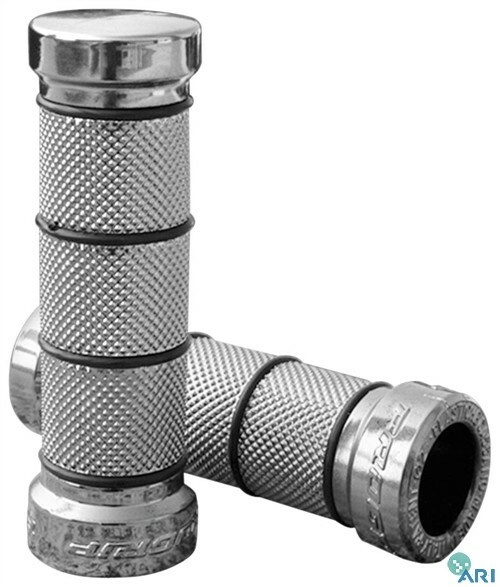 It has a high leverage ratio and brass pivot bearing for an easy pull. No mirror mount. Sweet! Merc's Favorite! #FMCS86-6989 ..... $22.00 BACK in stock! 7/8" x 125mm long with bar end caps. Merc's Favorite! 699 Gel Grips. Sold as a pair. Improved leverage. Not for use with dragging clutches. Using an over-sized, nylon-lined housing, and a slinky 7x7 wound inner, this cable has sufficient free length to allow a proper leverage ratio at the push screw. Others don't. 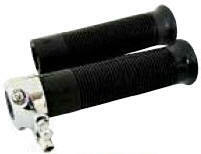 Also eliminates the friction-causing metal elbow. 1974-84. Black. For use with stock perches or our YZ lever assembly. The perches from Mikes XS are shorter and you'll have excessive free play. Pullbacks, Tracker bars E-Z Pull 53 1/4" #FCEN26-3350......$19.95 ea. Daytona, Euro, & shorter E-Z Pull 46 1/4" #FCEN26-3351......$19.95 ea. Hi Bar, 15" Ape Hangers E-Z Pull 61" #FCEN26-3352....$19.95 ea. "Special" style rectangular, replacement for OEM, chrome. heavy construction. Universal stem fits right or left side.